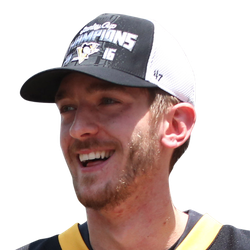 Jared McCann scored twice Tuesday to lead the visiting Pittsburgh Penguins past the Columbus Blue Jackets 5-2. Sidney Crosby had a goal and assist, and Jake Guentzel and Evgeni Malkin also scored for the Penguins, who ended a two-game losing streak. They have won seven in a row against the Blue Jackets. Goaltender Matt Murray stopped 21 of 23 Columbus shots. Oliver Bjorkstrand and Cam Atkinson scored for the Blue Jackets, whose two-game winning streak ended. 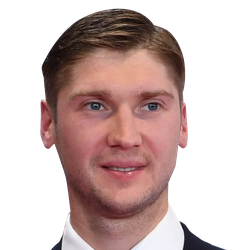 Sergei Bobrovsky made 22 saves for Columbus. The Penguins, already without injured defensemen Kris Letang and Brian Dumoulin, lost winger Bryan Rust in the first period after he got hit in the corner by Columbus' Adam McQuaid, and defenseman Chad Ruhwedel in the second period when he got taken into the boards by Nick Foligno. Guentzel opened the scoring at 13:45 of the first period. Patric Hornqvist carried the puck behind the Columbus net and served up a one-handed pass between the legs of the Blue Jackets' Matt Duchene to Crosby near the right-wing wall. Crosby set up Guentzel's one-timer from the slot. A potential tying goal by Columbus' Seth Jones at 15:16 of the first was waved off when the Penguins successfully challenged that Boone Jenner interfered with Murray. Three minutes later, McCann scored off assists from Matt Cullen and Ruhwedel. McCann extended the lead to 2-0 at 18:22 of the first. His shot from the top of the slot beat Bobrovsky glove side. At 1:15 of the second, Malkin made it 3-0 with his 20th goal of the season and sixth in six games, on a shot from the left point. During a delayed penalty, Bjorkstrand scored past Murray's glove from the left circle to cut Columbus' deficit to 3-1 at 4:55 of the second. Atkinson notched his team-leading 35th goal during a power play to make it 3-2 at 7:09 of the second. Artemi Panarin's shot from the left circle caromed off the leg of Pittsburgh defenseman Justin Schultz and over to the opposite circle, where Atkinson pounced on the puck and beat Murray short side. McCann scored his second of the night at 13:27 of the third period. Crosby added an empty-netter with 4.9 seconds left.